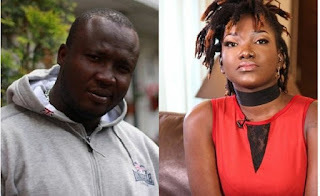 Ghanaian music producer Kaywa who of late fancies himself as a prophet has claimed that he saw Ebony’s impending accident before it happened and he warned her. It has been a norm since the departure of Ebony every prophet in Ghana claims they saw it coming. The latest prophet to join the list of prophecies is a Ghanaian music producer Kaywa who has added his voice and he claims he also saw it before it happened and he personally warned the singer. According to him, he called both Ebony’s management and the singer personally to deliver his warning but was not heeded to. “Just this Sunday, I traveled to the Netherlands, when I returned, I saw the same vision again so I called her [Ebony]…when I got through to her, I told her ‘Ebony, I still see the car accident, I want us to spend time and pray about it,’” he said. Kaywa, however, said all she said was “hmm, Kay, I will come”, but then didn’t come and unfortunately, met her demise as he had foreseen. Born Pricilla Opoku-Kwarteng died in a gory accident last Thursday on the Sunyani-Kumasi road.